The LPL Financial registered consultants at Marshall Wealth Management Group are a registered representative with, and securities offered through LPL Financial, Member FINRA/SIPC. Investment advice offered through Strategic Wealth Advisors Group, LLC, a registered investment advisor. Strategic Wealth Advisors Group, LLC. 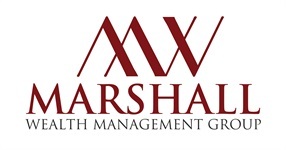 and Marshall Wealth Management Group are separate entities from LPL Financial. The LPL financial registered representatives associated with this site may only discuss and / or transact securities business with residents of California, Florida and Idaho.